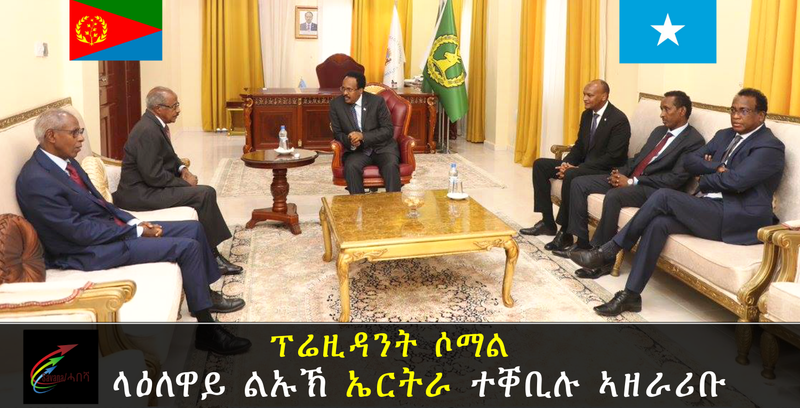 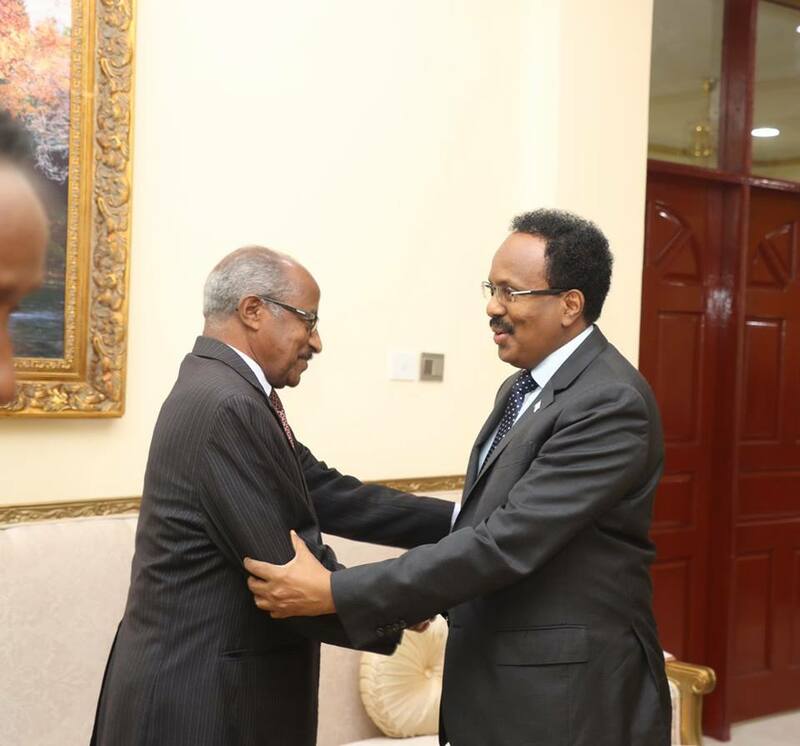 Somali President Mohammed Abdulahi Mohammed received Eritrean Foreign Minister Osman Saleh and Presidential Advisor Yemane Gebreab at the Villa Somalia in Mogadishu. 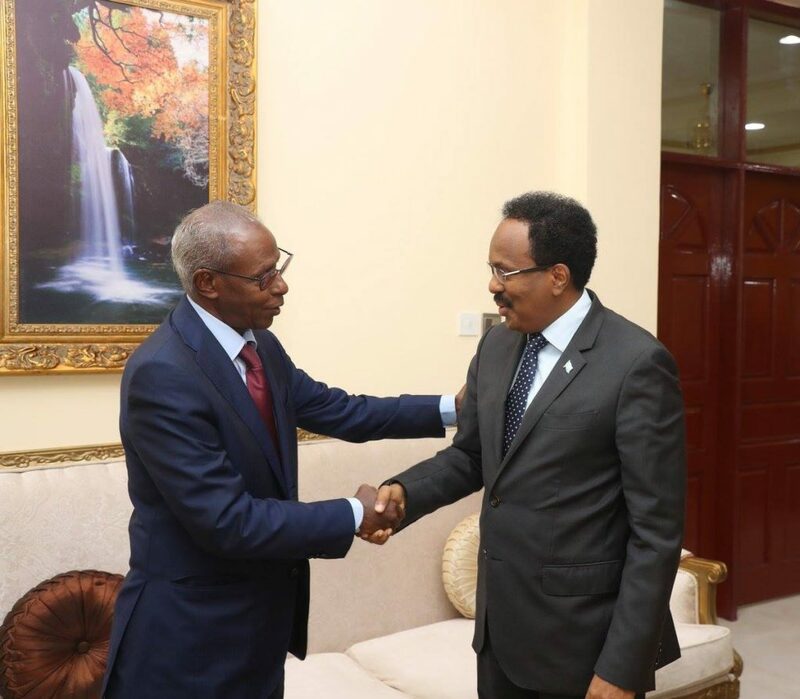 The two sides discussed strengthening bilateral ties between their two brotherly countries, Villa Somalia said on twitter. 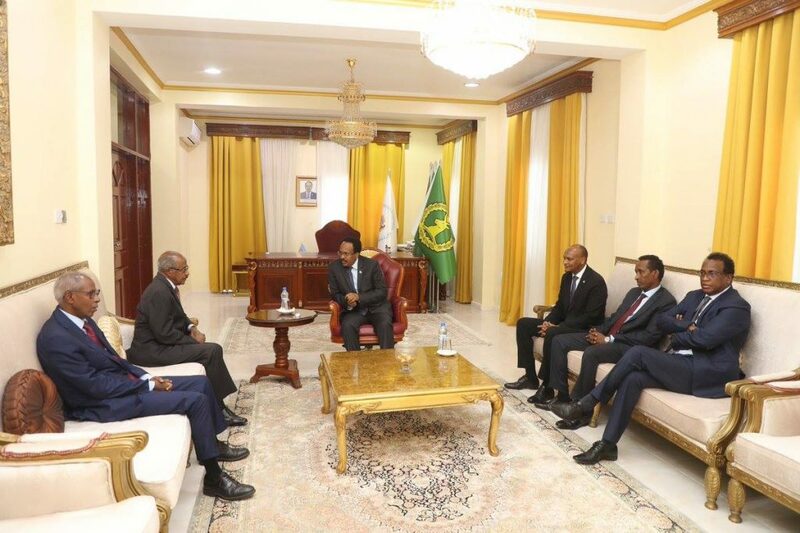 They also exchanged views regarding regional economic integration and the recent visit of Eritrean delegation to Somaliland Administration.